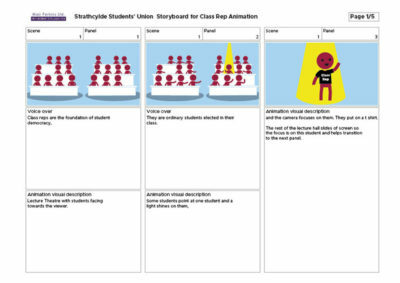 Class Rep Animation for Strathclyde University Students' Union | Mair Perkins Ltd.
Strathclyde University Students' Association approached me to create a short explainer animation to help recruit more class reps. The animation is used on their social media, website and used in presentations around campus. 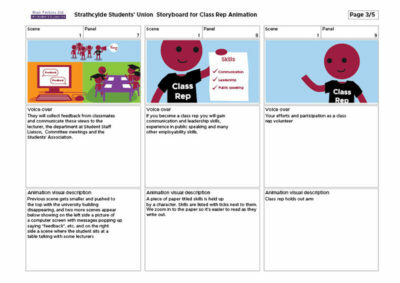 The animation's visual style is designed to compliment the Strathclyde SU branding. Voiceover supplied by Strathclyde SU. Music supplied by Strathclyde SU sourced from the YouTube audio library. 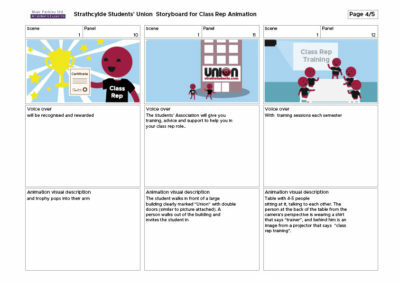 Strathclyde University Students' Association approached me to create a short explainer animation to help recruit more class reps. The animation is used on their social media, website and used in presentations around campus. 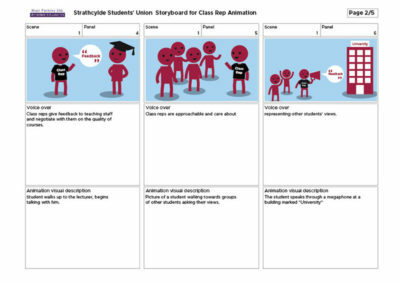 The animation's visual style is designed to compliment the Strathclyde SU branding.